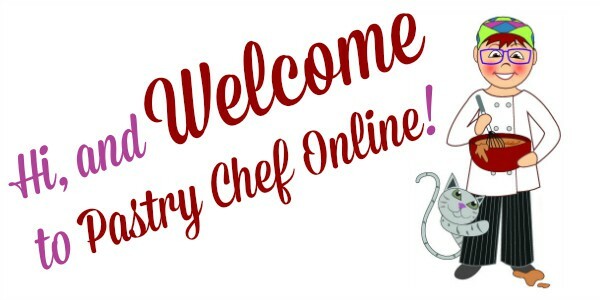 I know you’re here because you want to learn to make American Buttercream, and you are in the right place! Once you learn the basic proportions and method, you won’t even need a recipe to make all sorts of variations on American Buttercream. So let’s get to it! American buttercream made with half butter, half cream cheese and buttermilk as the liquid. This is the frosting of my childhood. Butter, 10x, vanilla. Maybe a couple or 3 squares of Baker’s chocolate melted and added. Maybe a little cream or half and half. But simple and homey. You probably won’t find a butter frosting on a cake at a fine dining restaurant, but it sure is comfort food at its best. No real recipe needed–just make this to taste. This freezes just fine for a month or so, so if you make too much, it’s okay. I promise–this is much more of a technique than it is a recipe. Get to know the components and how to mix them, and you’ll do great! Cream the butter in the bowl of a stand mixer. Add the pinch of salt and then add the powdered sugar, a bit at a time, until you are happy with how sweet it is. Figure around 2 cups of powdered sugar per 4 oz. butter, but just do it to taste. Add your vanilla and chocolate, if using. Or, omit the vanilla and add your other extract along with some zest, if you'd like. Thin to spreading consistency with the liquid of your choice. This frosting is incredibly versatile. Stir in mini chocolate chips, toasted and ground nuts, coconut--almost anything you can think of. Substitute some peanut butter or other nut butter for half the butter to make a peanut butter frosting. Use 4 oz cream cheese (half a block) and 4 oz (1 stick) unsalted butter and 6-8 cups of confectioner's sugar. Cream cheese frosting is excellent with a bit of orange or lemon zest mixed in. Use buttermilk for the thinning liquid to get a nice tangy flavor. Okay I was trying to post a picture of the wedding cake, but it didn’t work 🙁 if you would like to see the wedding cake I am so very proud of, just let me know how to post it for you! Trying to reconcile the picture of American Buttercream with the text below the picture that says “half butter, half cream cheese, with buttermilk as the liquid” but I don’t see any reference to those ingredients in the recipe. 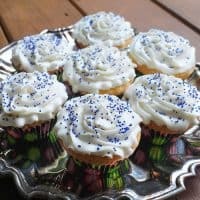 I have made buttercream several times and find it is not as good as the frosting at a bakery. Just trying to figure out what I need to do differently?? 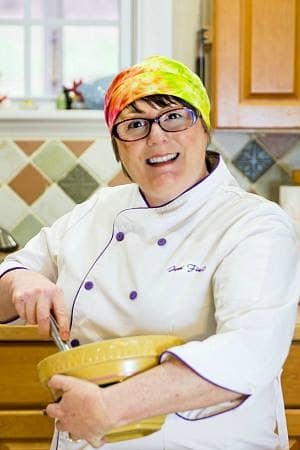 The “recipe” for American buttercream is very versatile and open to all sorts of substitutions and variations, Patricia. For that particular buttercream, I did use butter and cream cheese with some buttermilk as the liquid. You’ll notice my recipe doesn’t even have measurements, because it really is more about personalization. In the case of the buttercream pictured, where a very basic buttercream would call for butter, 10x, vanilla (or other extract) and a pinch of salt with milk used to thin it, I wanted more tang so I made that happen by subbing cream cheese for half the amount of butter and using tangy buttermilk as my liquid to thin it to spreading consistency. I hope that helps, Patricia.